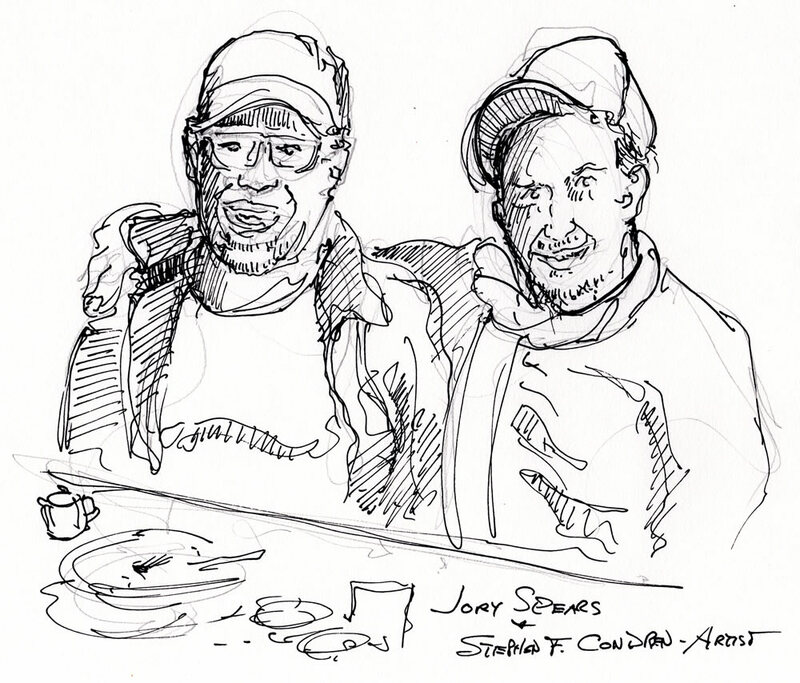 This article is about Jory Spears and Stephen F. Condren pen & ink drawing, which is for sale at discount with prints by artist Stephen F. Condren, BFA-SAIC, of Condren Galleries, a Fine Arts Gallery, offering JPEG & PDF scans. Jory Spears is one of my oldest and dearest friends. We grew up together in the Jackson Park Highlands on the south side of Chicago in Hyde Park Township. Jory is the son of James and Virginia Spears owner of Spears Transportation in Chicago. The Spears were perhaps the first Black family in the Highlands and having the Spear’s as neighbors was an enrichment to my life! The line work for this drawing is very light because Mr. Spears is wearing a coat.